I like to ride bikes. A lot. I am living in Hamburg, where cars are just too slow, and my place is too far from the subway to be convenient. Unfortunately, my daily bike lacks three things: Mudguards lights and profiled tires. 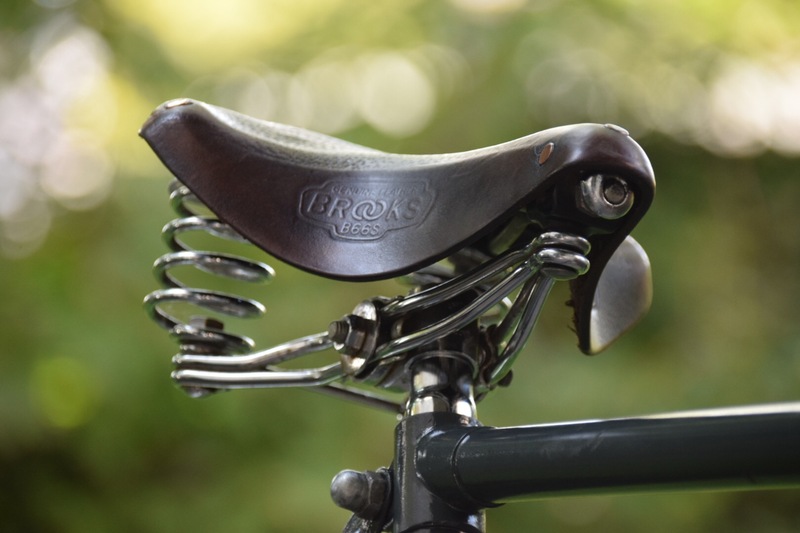 I love the clean looks and the low friction, but it is not suitable for the winter-time, so I decided to upcycle my old “Hollandrad” that was rusting in my backyard for years. 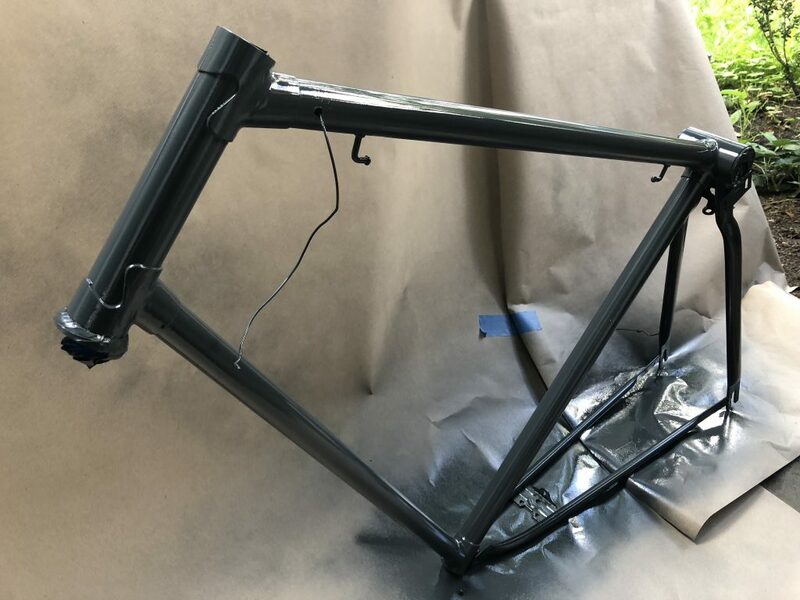 I stripped the paint – a really painful process – and primed and painted the frame and added some old, some new and no blue parts. My usual color scheme… RAL7016 – this time a glossy resin based spray paint. Tried to keep the classic appearance, while upgrading lights and gearbox. 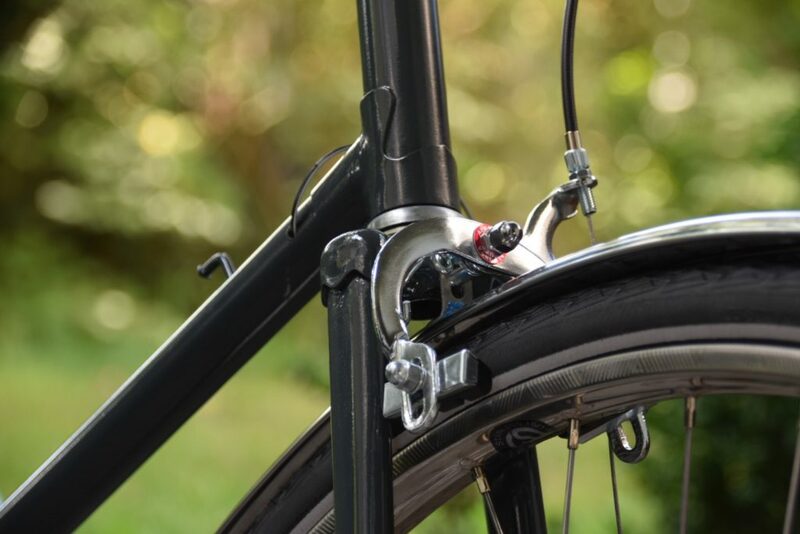 Brakes – are not perfect, but look just about right at the old bike. 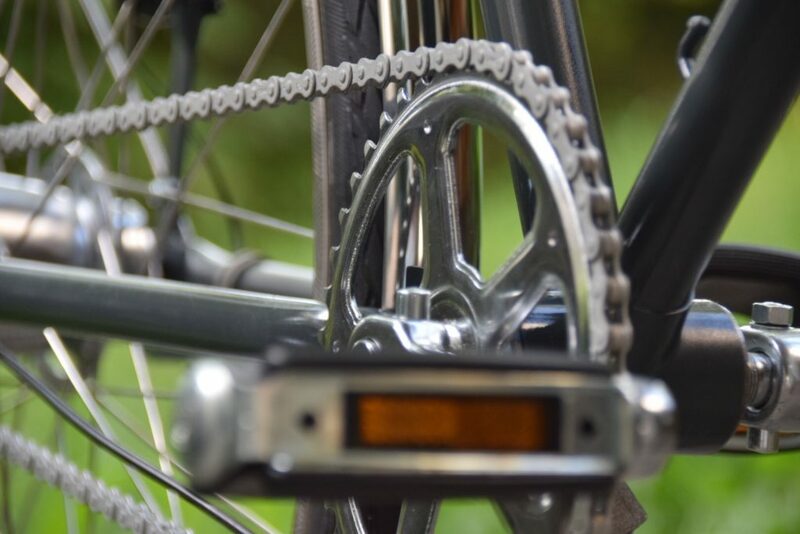 I choose to use the classical open bottom bracket – not technically perfect but looks consistent. Found an old Brooks leather-saddle on the flea market.